I still haven’t published the long backstory on my cancer battle from 2017. It’s still a work-in-progress. There’s a draft going, but I want to make sure I do justice to the whole story properly, and it’s a little hard to spend time on. One day soon I’ll get it out there. I mentioned a bit about my immunotherapy treatment a few weeks ago. Long story short is that there’s been good news recently, uneventful scans and visits (other than those 90 minute sessions in the MRI tube — not a good time there). A quick update from today’s visit with the oncologist: I’ve graduated from a monthly schedule of checkups and diagnostic bloodwork to a 3-month cycle. After having multiple visits over there per week, to only a couple per month, then monthly, spending less time in that office is a welcome change. There are several excellent renditions of this tribute to the late trumpeter Clifford Brown, originally composed by saxophonist Benny Golson (well known for his time with the Jazz Messengers). My favorite version is this live cut from Freddie Hubbard, 1984. Captures the soul of the original perfectly, on stage and with little accompaniment. See also the excellent original studio recording from Donald Byrd’s Jazz Lab, 1957. The key to getting the most out of a FOSS4G is the people. I haven’t attended one since 2013, but each one I’ve been to proves this out. The connections I’ve made at past events have been incredibly rewarding and lucrative over the past 8 years. I tell everyone thinking about going that to get the most out of it, you should be an active participant in the community. Sure the sessions are great content, but forming human relationships and expanding your network is the overarching goal. Such a positive, energetic crowd to spend time with! Next up is the international show in Bucharest, then 2020 in Calgary. Each of these has a consistent definition, so authorities providing data can make sure their stuff aligns with a preexisting standard for interoperability. Agencies like the IOM, USAID, and Red Cross are already supporting it. I’m interested to see what we can do here with Fulcrum Community. All of this information is uploaded in real time and is accessible to incident commanders who can follow the progress as an evacuation order is implemented. “It’s really sped up the process, and given us more accurate information,” said Nelson Trichler, an incident commander for the sheriff’s Search and Rescue Team. “It’s a tool we can go back to statistically to see who is responding to these evacuations. Found via Tom MacWright, a slick and simple tool for doing run route planning built on modern web tech. It uses basic routing APIs and distance calculation to help plan out runs, which is especially cool in new places. I used it in San Diego this past week to estimate a couple distances I did. It also has a cool sharing feature to save and link to routes. I thought this was an excellent rundown of remote work, who is suited for it, how to manage it, and the psychology of this new method of teamwork. 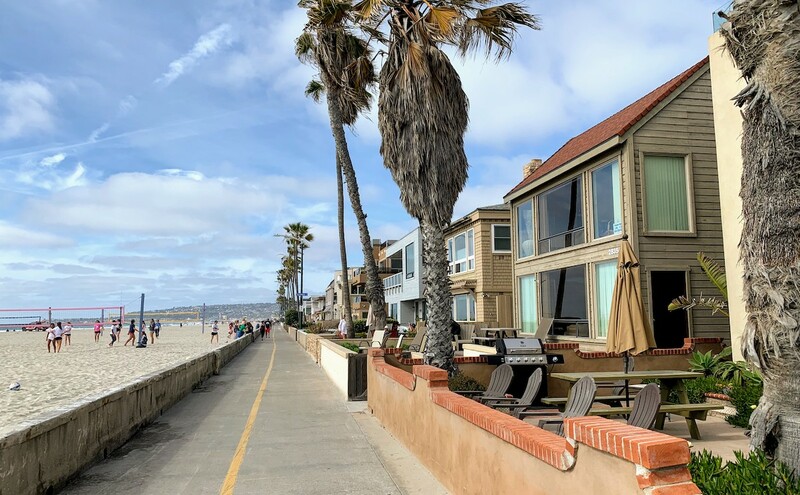 I found nearly all of this very accurate to my perception of remote work, at least from the standpoint of someone who is not remote, but manages and works with many that are. I’m highly supportive of hiring remote. 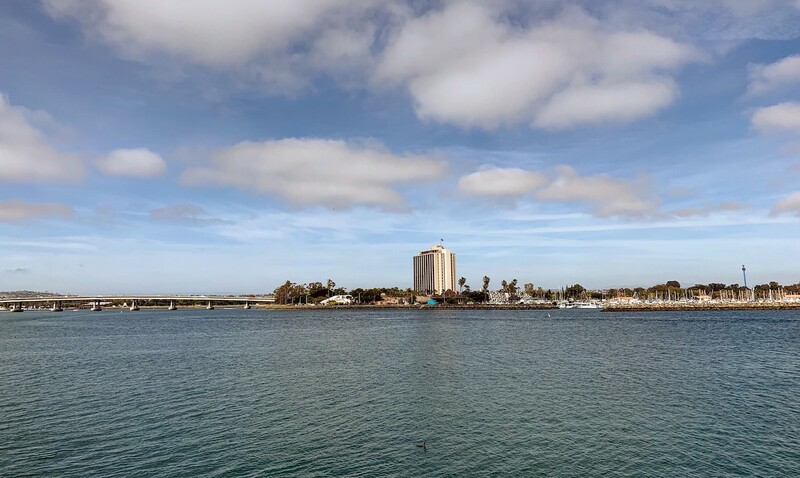 With our team, we’ve gotten better in many ways by becoming more remote. And another (perhaps counterintuitive) observation: the more remote people you hire, the better the whole company gets and managing it. This post is a bit late since the playoffs started last Sunday. This is the best time of year for sports where you’ve got the NBA in the postseason, MLB in full swing, Stanley Cup, PGA majors, and the final stretches of the Premier League and Champions League. So much to watch. If it goes the way it looks like it will, there’ll be a 2018 Western Conference Final rematch in round 2. Round 2 is shaping up to have some great matchups. As I type this I’m watching Portland and OKC in game three in Oklahoma. Competitive in the third quarter with Damian Lillard (possibly my favorite NBA player) heating up. 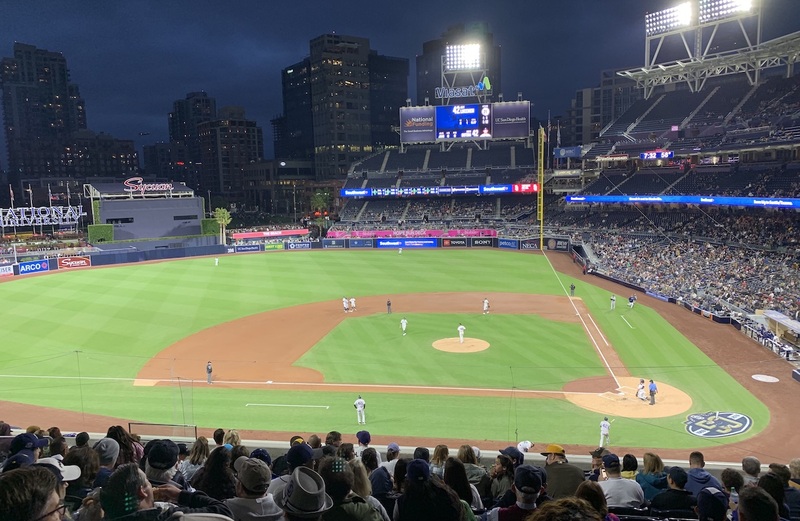 We had the chance on Monday night to go to the Padres game with a small group. Whenever the home team of a baseball city is in town, it’s a must-do for me to try and catch a game and check out the scene and the stadium. Petco Park is an amazing facility. We had seats halfway up on the third base side. The stadium is an entire entertainment complex with a ton of activities, shops, food options, and of course beer (a San Diego specialty). Right outside we did a pregame stop at the Stone Brewing tap room, as well. The weather was fantastic, even though the game result wasn’t so much for the home team. The Rockies took the win, but we had a good time anyway. 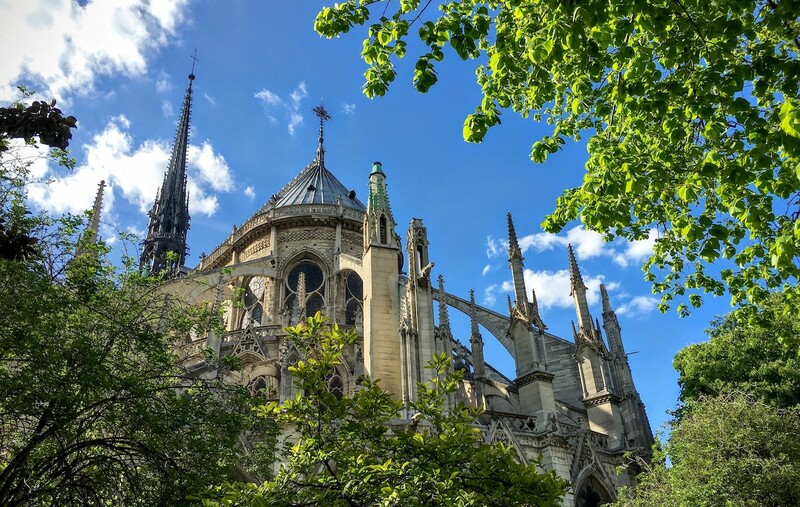 The news of the fire at Notre Dame in Paris was devastating to follow along with as the blaze continued to spread throughout the day on Monday of this week. Many people from the office and on Twitter were reminiscing about their own visits there in the past, which got me looking back at old photos of mine. 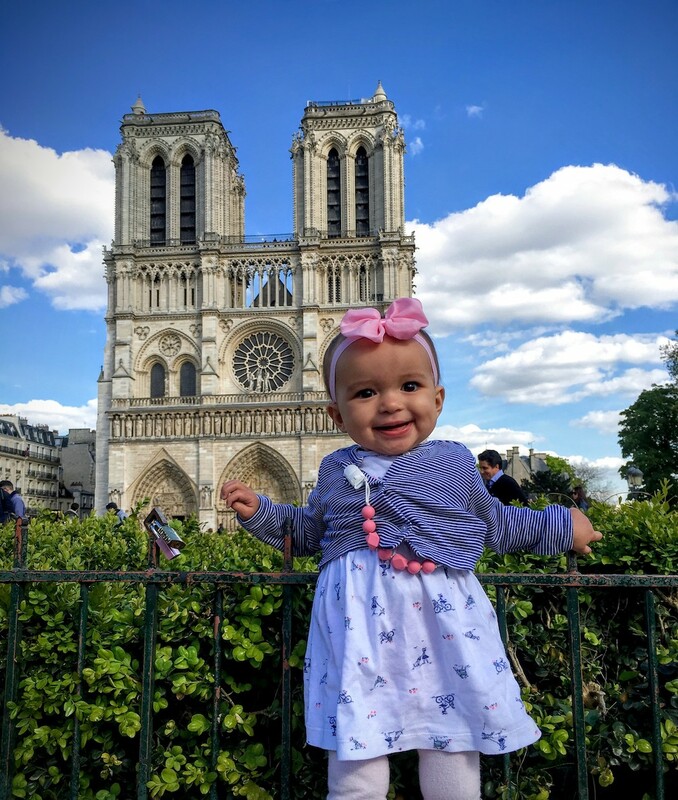 We visited Paris twice, once together on a tour in 2014 and again when Elyse was little in 2016. Both times we took walks down the Seine to Ile de la Cite. When the weather’s good in Parisian summer, the walk along the river and the site itself on the island are incredible. 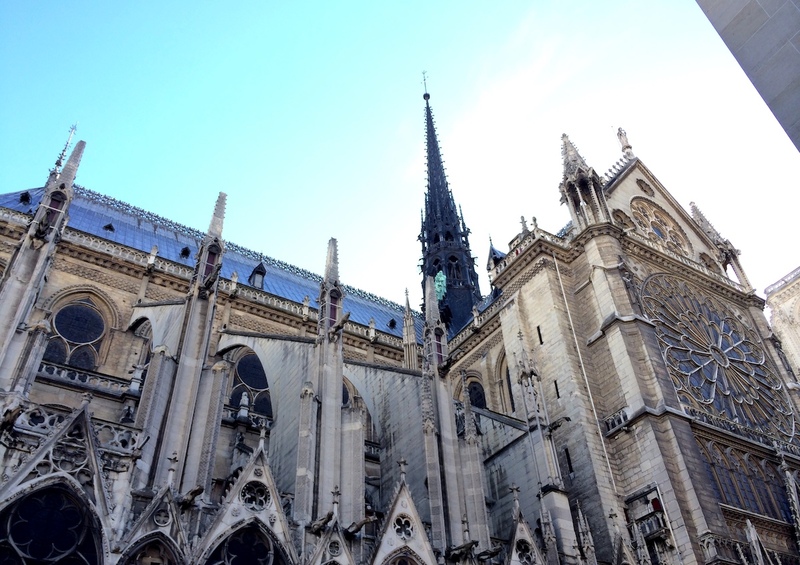 The iconic towers on the front are enormous and ornate for an old structure, but my favorite pieces of architecture are the flying buttresses visible from the courtyard area, and the eroded gargoyles studding the sides. I’m fortunate to have seen it multiple times. It’s a truly amazing structure in a beautiful city. Disasters like this week’s fire are an eye-opener to how fragile many of our historic sites and artifacts are. A run-of-the-mill electrical fire can undo so much history. The silver lining is that the firefighters on the scene were able to save it from total destruction. This is an excellent 3-part interview with Dr. Matthew Walker on Peter Attia’s podcast. Walker is a sleep scientist and professor of neuroscience, and this series with him dives extremely deep on sleep — sleep stages, effects on cancer, heart disease, metabolism, and how things like caffiene negatively impact sleep patterns. I’ve been bad lately about focusing on a good sleep schedule and need to get reset on a committed pattern to put in the 8 hours a night. I’ve been too frequently at 6 or less hours a night which I know isn’t healthy, but since I can still function on low sleep I make excuses that it’s okay. Dr. Walker’s points hit home and make a convincing case to make sure you get good, healthy sleep.